Sheet music and tabs for guitar SOLO. 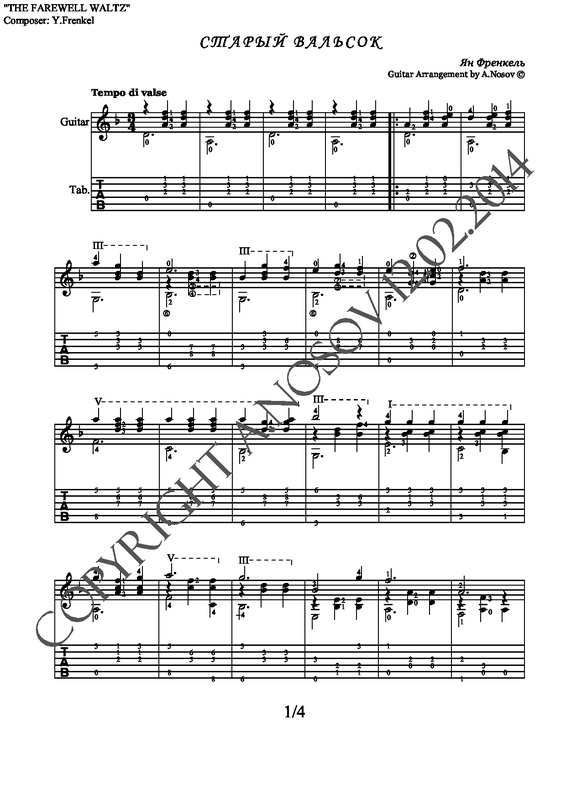 You´ll get 3 files: 1 – PDF (Sheet music + tabs); 2 – PDF (Sheet music); 3 – MIDI (audio). Select language, payment method (PayPal) and currency. Andrei Nosov, author of the textbook "A. Nosov Guitar School" (RUS) and several hundreds of guitar arrangements.